The 2016 Volvo S80 sedan recently beat out the 2016 Audi A5 to win the KBB.com 5-Year Cost to Own Award in the luxury car segment. Every year analysts from Kelley Blue Book create a detailed report that helps determine the expected costs it would take to own a particular new car model in the US over a five year time period. Factors that go into creating the annual report include anticipated costs of fuel, financing, scheduled maintenance, repairs, insurance, state fees, purchase price, and projected depreciation. The 2016 Volvo S80 is powered by a 2.0-liter turbocharged four-cylinder engine rated at 240 horsepower and 258 lb-ft of torque. 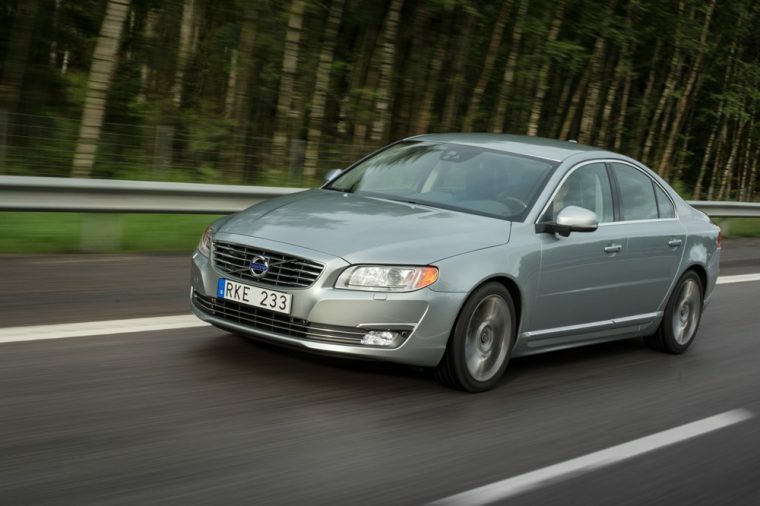 That motor is matched with an eight-speed automatic transmission, which helps the Volvo S80 yield impressive EPA-estimated fuel efficiency of 25 mpg in the city and 37 mpg on the highway. Furthermore, the S80 can tow up to 3,300 pounds. KBB.com has estimated the 5-Year Cost to Own price of the 2016 Volvo S80 to be $56,343, as of December 31, 2015. Hot Tech: Have you heard about Volvo Pilot Assist?